Car Dealer Websites | Auto Dealer Website | Dealer Website SEO | Dealer Jump | Dealer Websites page"
More than 90% of all car buyers start their search online. Most of them actually choose the dealer they will buy the car from before leaving the computer. That's an amazing statistic! If you're not online you might be limiting the number of buyers you could be working with and the number of cars you could be selling...we'll help you take the first step to get started. With an easy-to-use dealer website your used car dealership will be more visible and be more competitive. Get a dealer website, put your cars online, spread the word about who you are and what you sell. Each website includes unlimited distribution of your vehicles throughout the internet to dozens of sites. Our dealer websites have been helping dealers throughout the entire United States get more exposure and sell more cars. Now is the time for us to help you too. Our car dealer site designs are search engine friendly and it's simple and easy to customize the content and the look and feel of your site with just a couple clicks. After your site's created, within a period of days your site will start to realize natural organic search results. You DON'T need to be a hands-on web expert to take advantage of all the features our dealer websites come with. In fact, once your site is running, just add vehicles and pictures and the Dealer Jump system takes care of the rest, including on-site dealer website SEO (search engine optimization). We can build your dealer website and have you up and running within just a couple days. That means that 3 days from now your dealer site can be up and running, online and grabbing some of the market share of car buyers looking for their car online. Rush service is available by request. 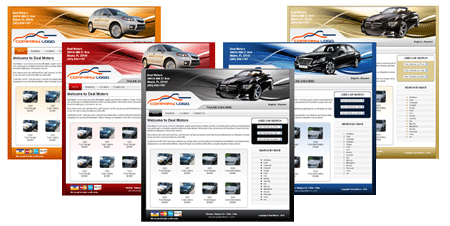 Each dealer website comes with a customized e-mail address just for your dealership (i.e. sales@mydealership123.com or john@abcmotors.com). We specialize in getting dealer customers more car leads. The more people that see your cars and your dealer website inventory, the more likely you are to sell a car. 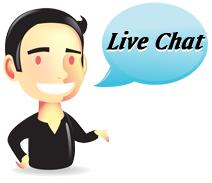 Give us a call today to get started with no contract at 888-675-7477 or signup here.